It has been nearly two weeks since my formal conversion to Judaism, and I have been meaning to post an update about it ever since, knowing full well that I will never be able to find ample words to describe what the day was truly like. I was incredibly nervous on the day, much more so than I had thought I would be, and I am really glad that I had both Dev and my friend D. with me to help keep nerves in check [or at least be on hand to make sure I was where I needed to be, when I needed to be there]. True to form we arrived ridiculously early, meaning we had time for a stop at The Bagel Café before my appointment. Not sure if this was a good idea or not, really, as I had a Twix, and sugar-rushing myself just before going before the Beit Din may not really have been the wisest of things to do. Having all but choked on my Twix we made our way upstairs to where the Beit Din convenes and had a bit of time to wait around before it was my turn. The person going in before me happened to be one of the women from my J-Prep group, so that was quite nice. Then all of a sudden [or so it felt] it was my turn. Rabbi D. escorted me into the room and slipped me a “They are going to love you” on the way in; a really kind and warm touch. Was a little jolted by the fact that this was an all-male Beit Din. Not because I mind male rabbis, or because I felt strongly about having a mixed Beit Din, but because I simply don’t do well being alone in a room with only men, regardless of who they are. Had to take a moment to steady myself and mentally focus on the fact that this was a completely safe setting and that there was no real danger, regardless of my internal warning bells going off like crazy. I really wish I was able to remember who was on the Beit Din that day, but honestly, I haven’t a clue. Well, that’s not entirely true, one of the men was someone who I sort of knew, or at least have met previously, only I was far too nervous in the moment to recognise that. My meeting with the Beit Din is all a bit of a happy blur, but I do remember one of the rabbis starting out by saying that this wasn’t really one of those tests where you pass or fail, and although this was of course something I had been telling myself over and over in the past few hours, I found this exceptionally reassuring coming from someone other than myself. What did they ask? Well.. I’m not entirely sure. I know that there were a lot of questions, many more than I had expected, and that they asked about how I had found my way to Judaism, [why not Islam or Christianity?] and that I gave them a run-down of that, including why, for me, Reform Judaism was the natural choice. 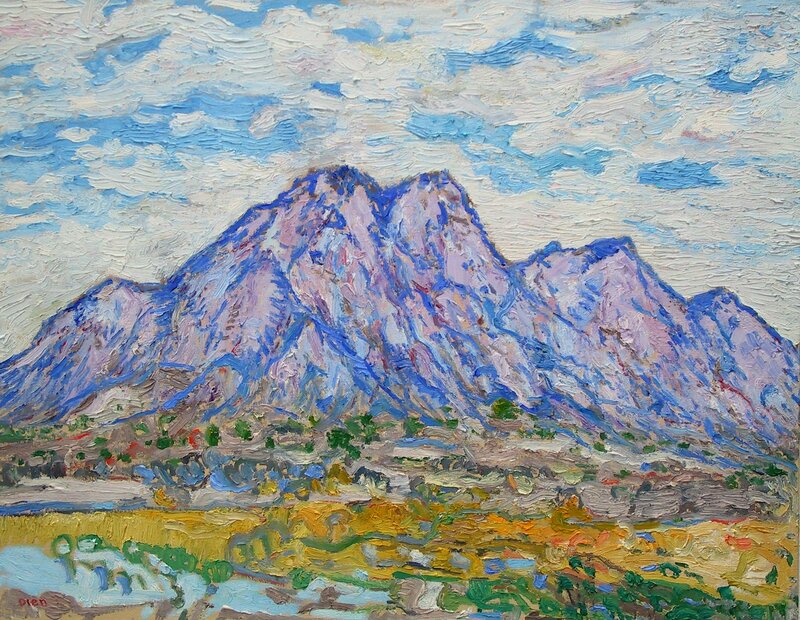 I was also asked if there was anything I had struggled with or found difficult, and I explained that I had had a conversation with one of my rabbis about the exceptions to the principle of Pichuach Nefesh, because I was unsure if I understood it correctly and was finding some interpretations I had come across somewhat hard to stomach. I also mentioned how I find the somehow socially acceptable interdenominational slagging off quite offensive, because although I could never be anything other than a Reform Jew that doesn’t mean that I think of other denominations as somehow lesser. That, just as we work on interfaith matters, perhaps some work is needed on intrafaith dialogue. I only had one properly ‘factual’ question, and that was to talk to the Beit Din about the festival of Simchat Torah which was starting the evening after my conversion. Had no problem with that, since I had pretty much assumed they’d ask about that, and also Simchat Torah happens to be one of my absolute favourite holidays. The other more precise question I was asked was regarding my own observance; I decided to talk about making Havdalah at the end of Shabbat and also how I had made a special Havdalah upon leaving Drayton Park, to mark the transition between going from this very very difficult period, to something more positive. As a follow-on question, or perhaps to check I wasn’t just making this up, one of the rabbis asked could I recite the blessings for Havdalah? My immediate reaction to that was to panic as I normally use my siddur when I make Havdalah, but then I just firmly told myself that I do know these blessings without reading from the siddur and went on to recite them by heart. I also talked about how, for me, action is a very important expression of faith; that praying and going to shul are only two ways of being observant, that I think that social action is every bit as important as other more conventional ways of practising religion. Talked about tikkun olam both in terms of green thinking and in terms of looking out for others less fortunate than myself. I have a feeling that my reciting the Havdalah blessings, may have been the reason why I was not asked to read anything in Hebrew to the rabbis. I was, however, asked what I would have read, so I told them that I had decided just as I stepped into the room that I would like to read the Modim part of the Amidah, since that seemed appropriate for the occasion, and – really – there is no time when the Modim isn’t appropriate, in my opinion. Was asked to step outside for a moment while the rabbis conferred, so I did, being greeted by Dev, D, and rabbis D and H outside. Have no idea how long I had to wait, not too long though, I think, and then we were all filing back into the meeting room, crowding it somewhat. My conversion certificate was read out to me, but in all honesty I was still buzzing so much I can’t say I really remember much of what was said. I was mainly just really moved by the occasion and only truly remember the moment I was called by my Hebrew name for the very first time. That felt like a very powerful moment. Following the meeting with the Beit Din we made our way down to the mikveh for my ritual immersion. Rabbi H. was my Jewish witness and came with me as I immersed in the water and recited the blessing for tevilah and the Shehecheyanu, marking my entry into the Jewish people. I have to say that I’m not great with people seeing me naked, especially my various scars, but it still felt OK. The mikveh at the Sternberg Centre can, admittedly, not by any stretch of the imagination be accused of being a particularly serene place [think septic tank meets oversized foot bath..], but making tevilah still felt deeply spiritually moving. After I got out of the mikvah Rabbi H. asked how I felt. I had to take a moment to feel it through before answering that I felt like I was exactly who I have always known I was, yet everything was different. I know this has been a bit of a blow-by-blow account of my big day. There is so much more I could write about it, and chances are that I will, but for now I think this is what I can offer. PS. If you are interested in reading my letter to the Beit Din, please click here. 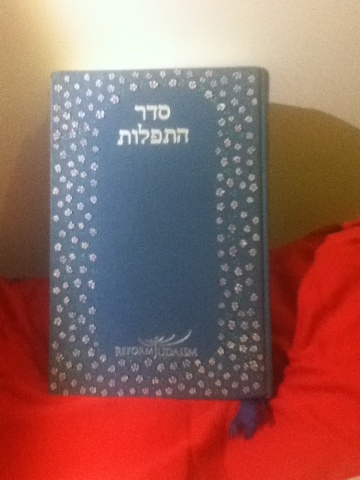 My siddur (prayer book) - complete with nail varnish flowers..
Today belongs to Gilad Shalit. And the value of human life.